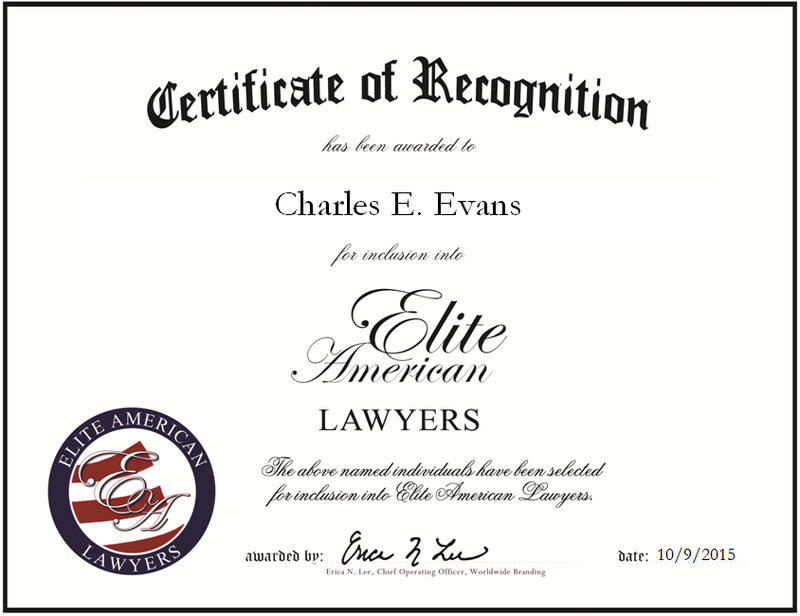 Pittsburgh, PA, October 9, 2015, Charles Evans, Attorney for Meyers Evans & Associates, LLC, has been recognized by Elite American Lawyers, for dedication, achievement and leadership in personal injury, medical malpractice and employment law. Over the course of nearly four decades, Mr. Evans has excelled in the legal field. He has always had an interest in law, politics, and the way the American government works, which is what inspired him to become a lawyer. Channeling his passion for the field, he works with Meyers Evans & Associates, which specializes in medical malpractice law. The most gratifying aspect of his career has been identifying with injured people due to the actions or negligence of others, and getting them full compensation and justice. A stellar example of excellence in his field, Mr. Evans shines due to a combination of his prior industry experiences, including 22 years as a partner with Evans Portnoy & Quinn, and his educational background. 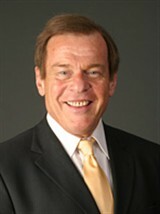 In the 1960s, he obtained a Bachelor of Arts in economics from Geneva College and a JD from Duquesne University. He continues to affiliate himself with the legal field through numerous associations, such as the ABA, the Pennsylvania Trial Lawyers Association, where he serves on the legislative policy committee for the western chapter, and the Allegheny County Bar Association. Throughout his notable career, he has won numerous awards, including being named to the Pennsylvania Super Lawyers, as well as an AV-Rated attorney with Martindale-Hubbell. During his free time, Mr. Evans enjoys giving back to the community by providing pro bono services for the Turtle Creek Valley Mental Health Corporation, as well as many other local organizations. In the coming years, he intends to continue providing his clients with stellar services. This entry was posted in Medical Law and tagged injury, legal services, malpractice law, medical malpractice, negligence. Bookmark the permalink.